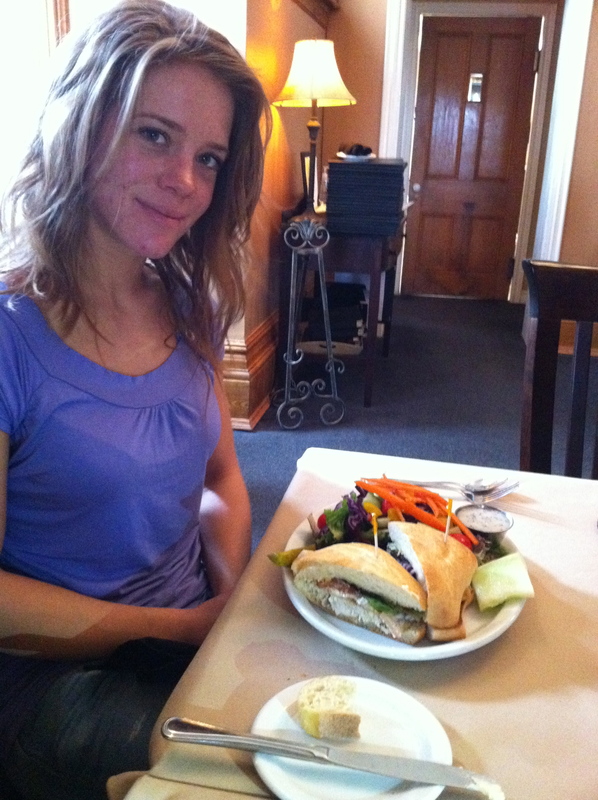 On Tuesday we had a lunch meeting with Kaylie in Exeter. Marie wanted to see the area, so I wanted to make sure we drove through most of the County! We had already toured through Gorrie, Wroxeter, Wingham, Lucknow, Dungannon, Port Albert and Goderich, so Exeter was a perfect place to go. When we got to Exeter the owner of Eddingtons, James, came out and chatted with us about a few things, including the Taste of Huron event! 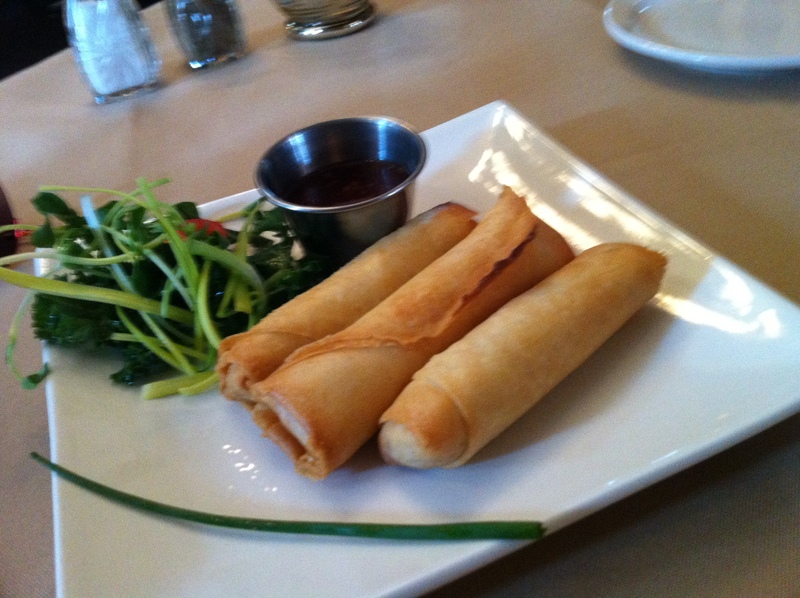 Kaylie already posted about our wonderful meal, but I thought I would add some more pictures of the food! 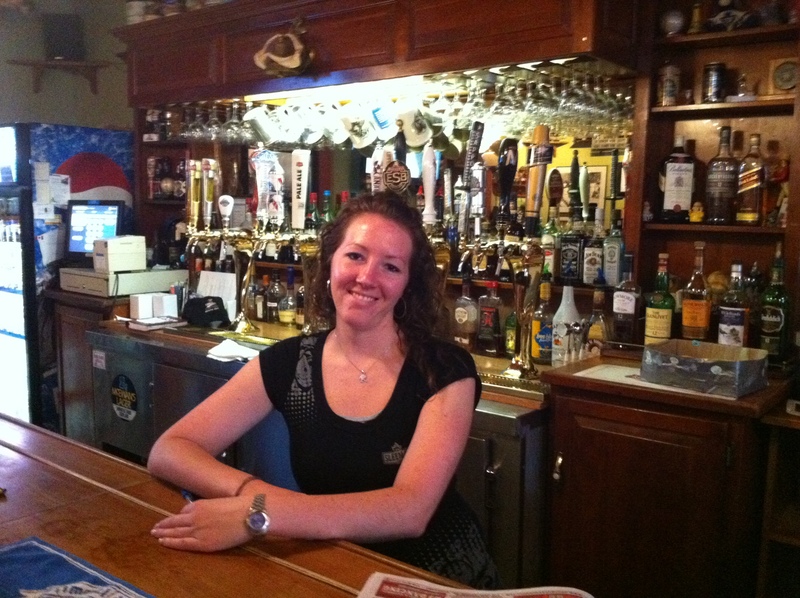 Marie is quite the foodie and she loves to try different things, she mentioned that she even once ate Guinea Pig! I’ve never really eaten a rodent, but I guarenteed her that this meal would be better! 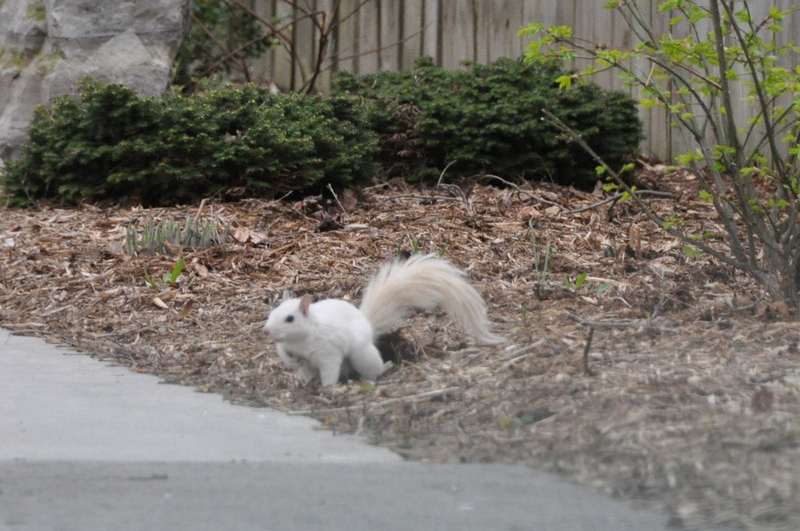 After our awesome meal at Eddington’s, we decided to try and find a White Squirrel. 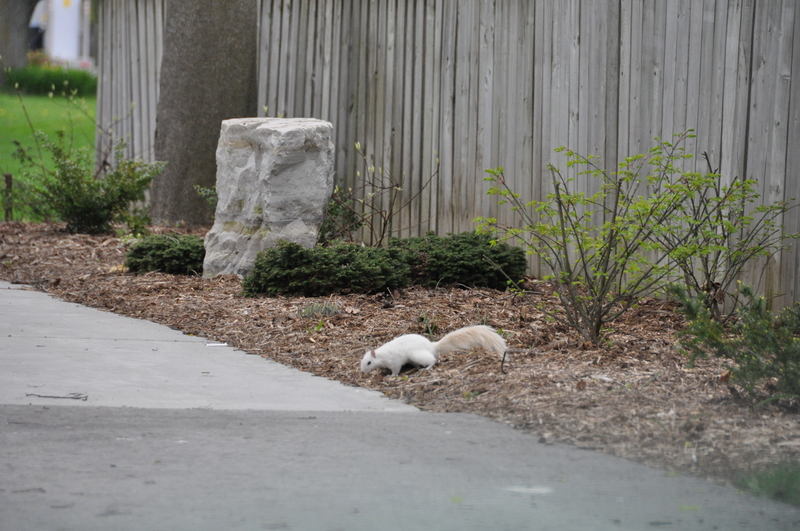 Exeter is known for their white squirrels and we hoped they wouldn’t be too hard to find! As luck would have it, as soon as we exited Edingtons, we spotted one, but didn’t have the good camera to get a close up. So we ran to the vehicle and followed the squirrel around the block! Our next destination was Hayter’s Turkey in Dashwood Ontario! I try to make it to the Hayter’s turkey store once a month… it is literally a one stop shop for turkey products. They have the turkey’s right on site, you can buy everything from whole turkey’s, soups, gravies, breasts, sausages and more. They also have a liquor store and local food products right on site. We bought a tonne of food and had a wonderful experience. They will even pack frozen foods in cardboard with ice so that it doesn’t thaw on it’s own! My favourite treat from Hayters is the pepperettes. 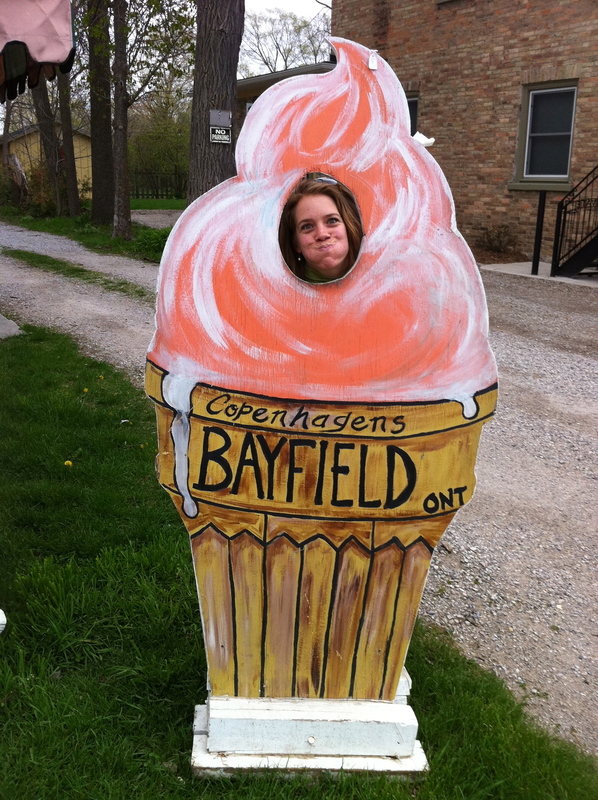 On the way home, we decided to stop in to Bayfield for a bit of shopping and a refreshing drink. Some of the stores weren’t open yet, but we still made a couple of purchases downtown! As you see from the photos, we had fun at the Copenhagens ice cream cone and our friend Becca at the Albion served us a refreshing beverage! 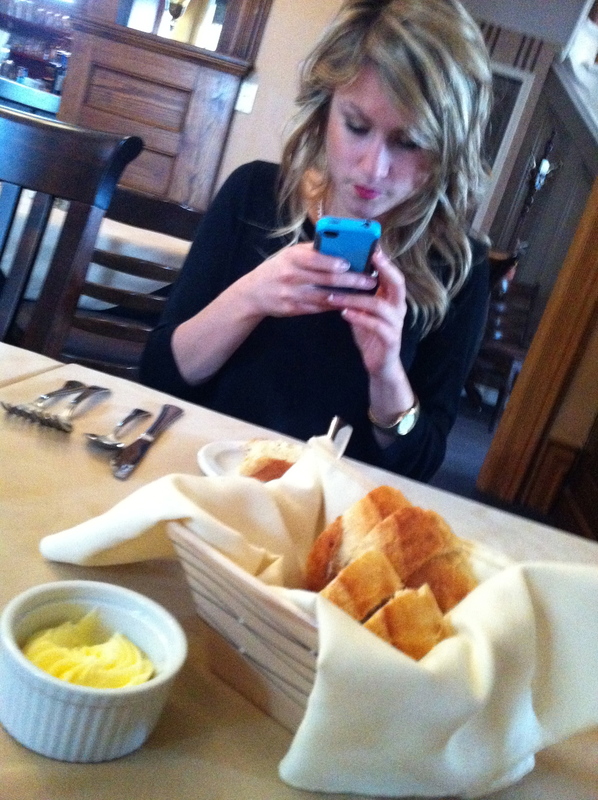 Check out tomorrows post for more of our Huron County tour!